New “iCare” technology makes the air puff obsolete! “The anticipation is the worst!” they say. We’ve all experienced it – the dreaded air-puff test. Granted, this is not a root canal we’re talking about. Still, the air puff test is annoying. 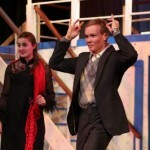 Very annoying. So what’s the point anyway? Do we really need it? Well, first of all, the purpose of the air-puff test (or “non-contact tonometry”) is to indirectly measure the amount of pressure in each eye. 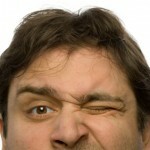 Measuring eye pressure is very important, since increased eye pressure is a risk factor for glaucoma. And anybody can get glaucoma, a symptomless eye disease that can lead to blindness. But here’s the good news. There’s a new way to measure eye pressure without the air puff. It’s called the iCare tonometer. The new iCare tonometer was developed by a doctor in Finland as an easy and patient-friendly method of measuring eye pressure. It uses unique “rebound” technology, in which a very light-weight tip is used to make momentary contact with the cornea. Anesthesia is not needed since the touch of the tip is so gentle and the measurement so quick that it is barely noticed by the patient. And there’s no loud startling noise to make you jump, either! Sound too good to be true? Check out this slow-motion video comparing the iCare to traditional air puff. Or better yet, visit us at Frontier Eye Care and experience it yourself! 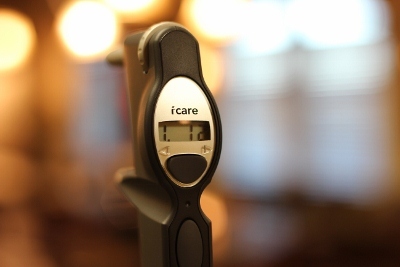 The iCare tonometer is just another way we make things comfortable for our patients. Call our friendly staff at 472-2020 for an appointment today. http://frontier-eyecare.com/wp-content/uploads/2013/01/iCare-tonometer.jpg 267 400 Doug Hodgson http://frontier-eyecare.com/wp-content/uploads/2017/01/frontier-logo-for-website.png Doug Hodgson2013-01-28 23:21:052013-08-19 08:23:30No More Air Puff!